With a beautiful, frosty Sunday upon us a day trip was on the agenda. 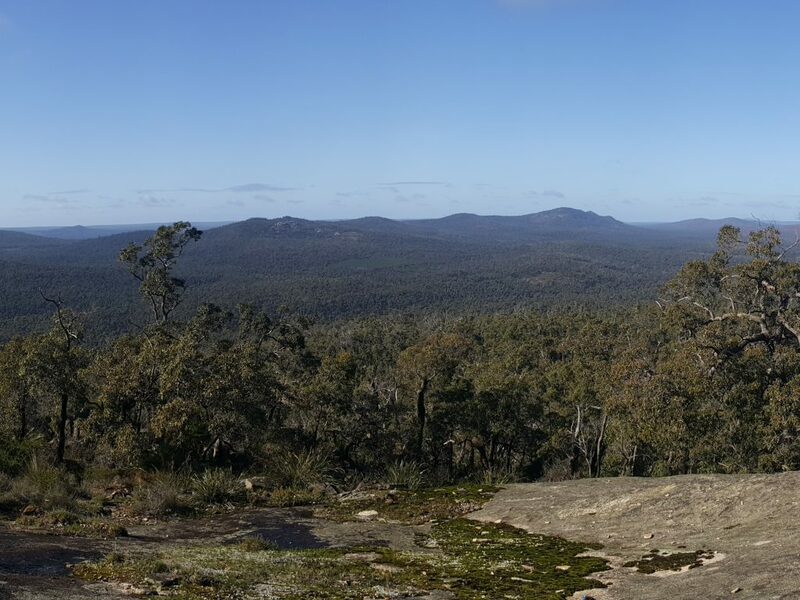 The Silver Hiker and I decided to hit Sullivan’s Rock, Mt Vincent and Mt Cuthbert then follow on the Bibbulmun to the Monadnocks campsite, popping out at Randall Road. Which was a solid plan right up until I threw a spanner in the works saying I needed to start pre-dawn in order for me to have enough time.